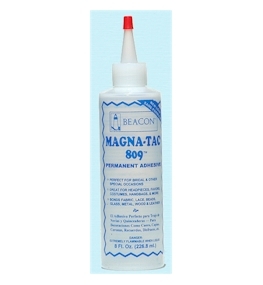 Home / Spotting / Magna-Tac 809 Glue 8oz. Permanent adhesive for fabric, glass, pearls, and other bridal ornaments. 8 oz.